Sometimes for whatever reason it is necessary for a dog or puppy to be rehomed. Job transfer, divorce, financial problems, etc. It is unfortunate and in a perfect world this wouldn't happen. 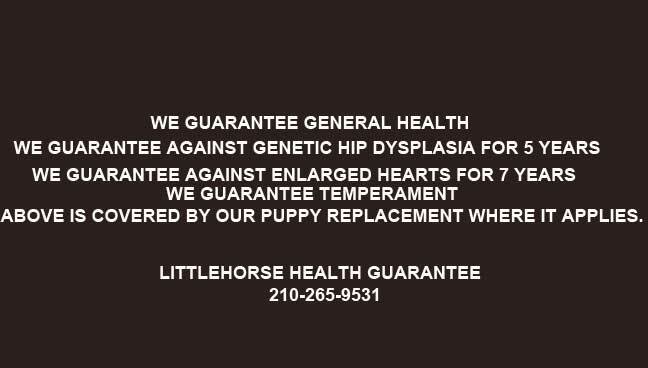 If you are ever unable or unwilling to take proper physical and emotional care of a Dane you acquired from us, you must call us first. If you have a home you would like to put the Dane into, we need to approve the placement. If you are able for your dog to go directly from your home into another permanent placement so much the better. That is less stressful on the dog or puppy not be bounced around. Otherwise, the Dane must come back to us. It is your responsibility to get your Dane back to us at no charge, should you decide to give it up. We will either keep it here or find a loving home for it. We do not refund money at any time. The reason behind this is sometimes we can get in a financial bind and we do not want our puppies to be thought of as "Oh well, if things get really bad I can just return the dog and get my money back." We do not want our dogs thought of as a savings account. Sometimes we will charge a nominal adoption for the dog being rehomed that can range from $100. to $500. We operate under the premise that if someone wants an older dog or puppy and isn't willing or able to pay then they won't be able to afford to take care of any emergency fees that could come up in it's lifetime and using the excuse of "Oh well, it didn't cost us anything anyway." We sincerely hope that we don't place our dogs with someone who has that mentality. In the past we have only charged rehoming fees for 3 dogs. The others were placed at no charge because we either knew the people and they already had one of our dogs or felt that they would give these guys a good forever home whether or not the fee was waived. In some cases if we do place a dog or puppy and receive an adoption fee we may give the owner who gave that dog up a credit for the amount we received towards another puppy in the future. This is at our discretion and if we feel the dog was returned for viable reasons. 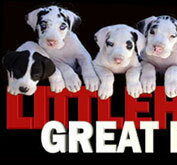 Our bottom line is we strive to find our puppies the best forever homes possible. We do not want them ending up in the newspaper, rescue or worse. Their health and well being is our first priority.